Hi Everyone, Welcome to October! 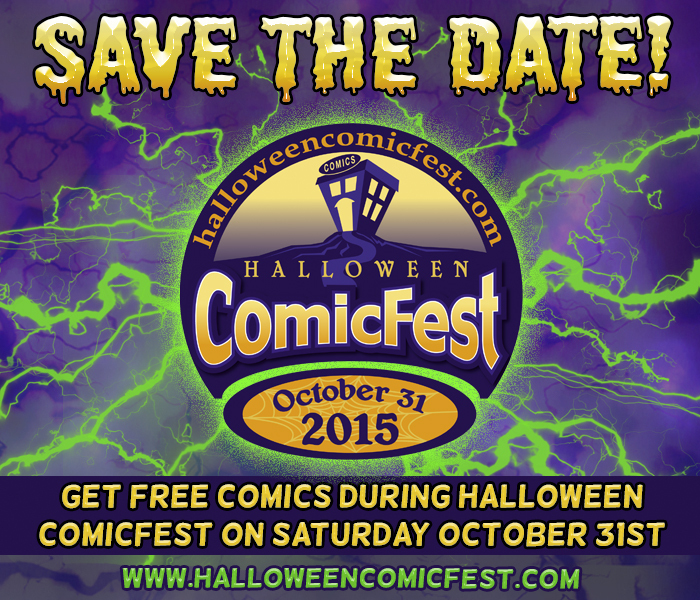 GeekLife is proud to announce that we will be participating in Halloween ComicFest, which is a little like a miniature Free Comic Book Day: stop by the store on Halloween to pick up FREE copies of full size comics as well as special edition mini comics. Additionally, now through November 10 you can enter the Greatest Halloween Costume Contest Ever for a chance to win a $500 shopping spree, $100 shopping spree or a variety of other awesome prizes. The other exciting news is that we have finalized our application to join the Wizard Play Network (WPN) and are that much closer to being able to host Friday Night Magic and D&D Encounters. In the meantime, be sure to register to come play our Casual Magic Fridays, the more people we have playing, the quicker we can offer FNM. Also in October we will be hosting our first craft make and take. Stay tuned for details, but it’s going to be fun! Our calendar is up and on the website and we will be working to add all our events to Facebook as well, so check it out and let us know what you think!